Coders Please update the README.TXT and version information header on your forks\commits. While I am not actively maintaining, I can be reached at the e-mail supplied in the original code and I can merge with the base if there are substantial changes\improvements. Description - Created for my children to add some colorful nodes to building and also to add light. Uses Unified Dyes to provide 89 colors in each of the four basic nodes. Simply craft and place a neutral-colored fence or block (or their "wavy" counterparts), then punch the block while wielding dye to change its color. See VanessaE's colors.txt file for a comprehensive list of multiple mods. Created lightpoles/fences based on "fencelike" drawtype. Building type is a fence, so all node properties follow suit. 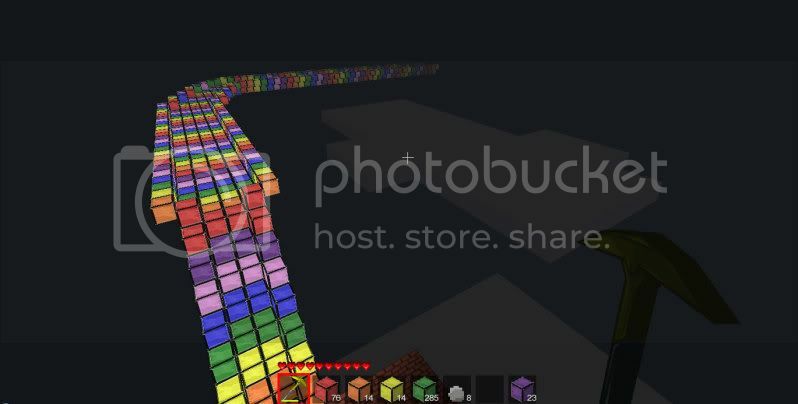 On/Off states for all bobblocks blocks - default to light on \ punch for light off. Right-click the block to turn it on/off. Added Mesecons (video) compatibility for blocks and poles: Making Discussion ~ Working Code. I'm debating on how I want to implement the dependency (either two versions of this or a straight depends) as I'm already seeing an issue of depending on another mod. Added directions for dependency in main post and in the init.lua file. Merged blocks and poles lua files. Long story. Added recipes for traps, activated in init.lua, and created hidden (set) states for spike traps (see video). Added Death Dealer's spike textures. Fake grass node finished (see video). This fall I want to learn a better way of generating multiple like nodes in .lua before completing this. Frickin' Laser Beams <-April Fool's Joke. I may see if it works some day. Minor: Using "alpha = WATER_ALPHA," to achieve transparency creates a block that sees through the ground beneath it. See this postfor example. Minor: Need to figure out way to trigger spike death sound without the loop due to being with the ABM proximity loop (sound plays after death until respawn). Last edited by RabbiBob on Sun Feb 19, 2017 13:23, edited 2 times in total. Let me know if I've crossed recipe spaces with anyone. Last edited by RabbiBob on Sun Apr 15, 2012 12:44, edited 1 time in total. Last edited by RabbiBob on Thu Apr 05, 2012 02:02, edited 1 time in total. RabbiBob, you could get colors for your mod from my dye mod. Dont you think getting 20 blocks is a bit too much. Secondly, consider adding the blocks to the creative inventory. wokste wrote: Secondly, consider adding the blocks to the creative inventory. Thanks! Added server to the list (didn't see it on your mod list, but added anyway). Last edited by RabbiBob on Fri Mar 16, 2012 22:02, edited 1 time in total. Updated for 20120318, see changelog. 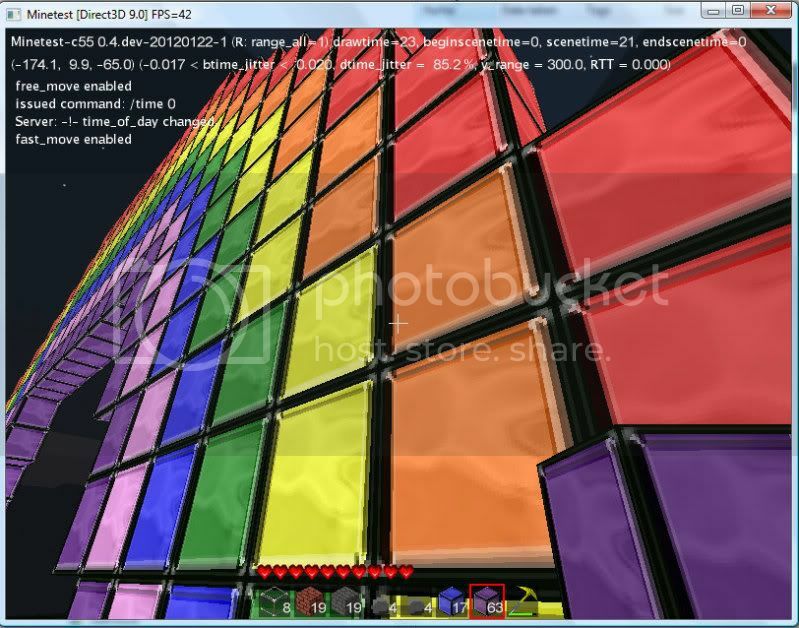 Added to [url]Minetest.com[/url]:D waiting for your recipes. I just saw the recipes so know I know how to make these blocks. 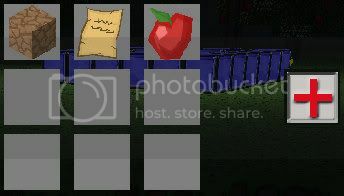 RabbiBob wrote: Replaced the above recipes with individual pictures. Last edited by Death Dealer on Thu Mar 22, 2012 14:45, edited 1 time in total. Thanks. I was an avid Quake CTF player and the CTF discussion had me thinking about this approach. RabbiBob wrote: Thanks. I was an avid Quake CTF player and the CTF discussion had me thinking about this approach. Node now can be placed indefinitely and when punched will deliver a does of health, then disappear. thats cool man, i like how it lights up when you punch it .